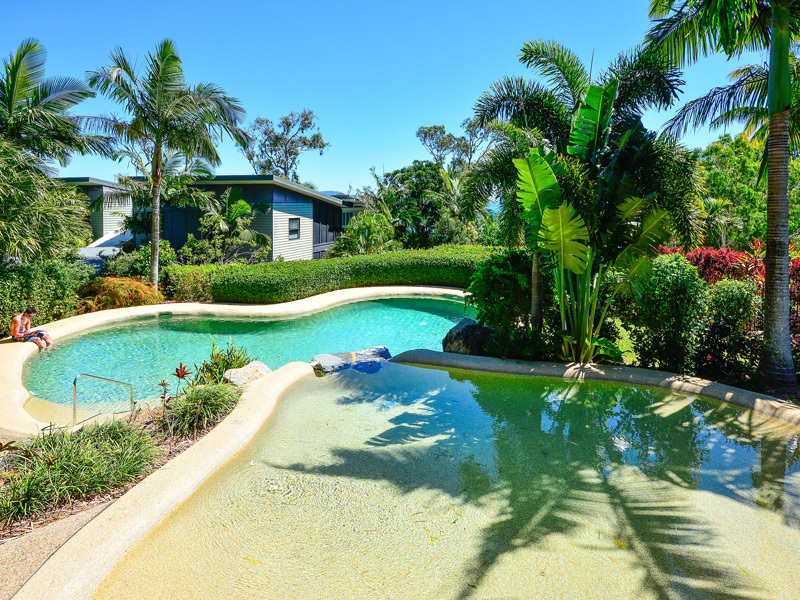 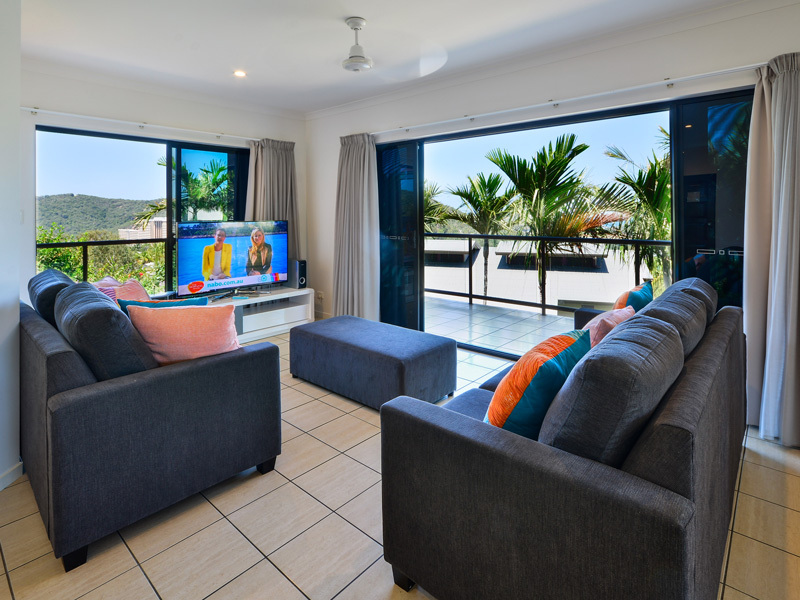 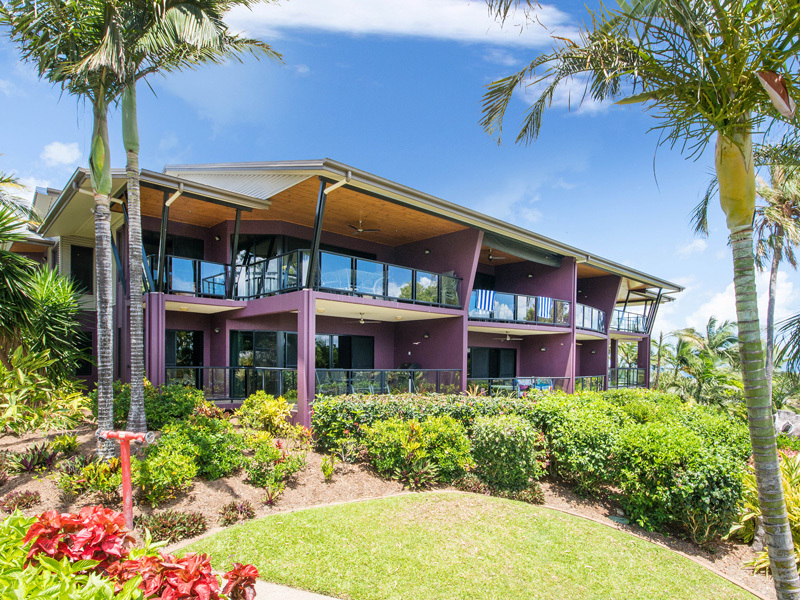 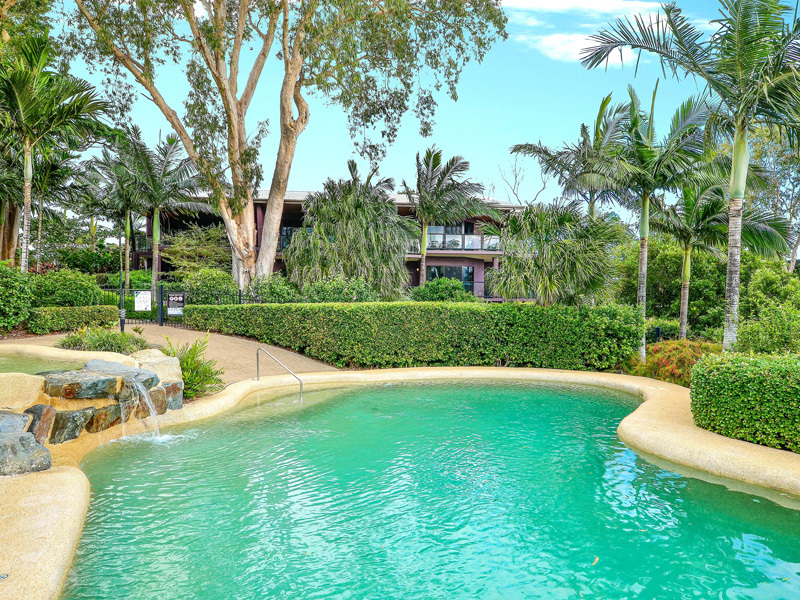 With views across tropical gardens to the sparkling Whitsundays, this modern two bedroom apartment is an ideal escape for families or small groups. 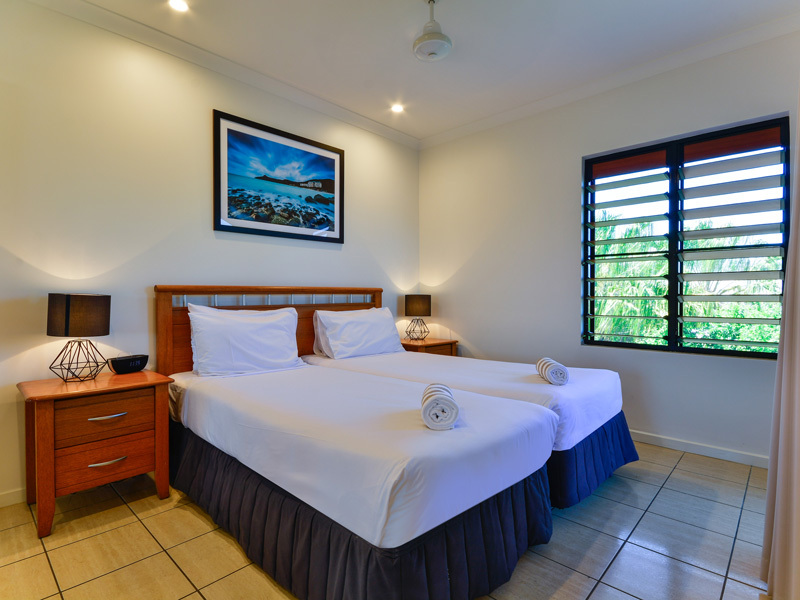 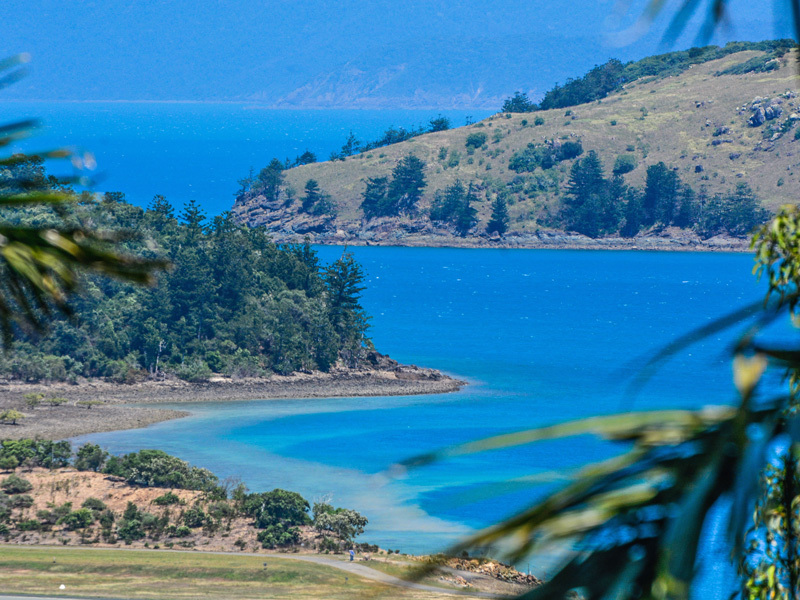 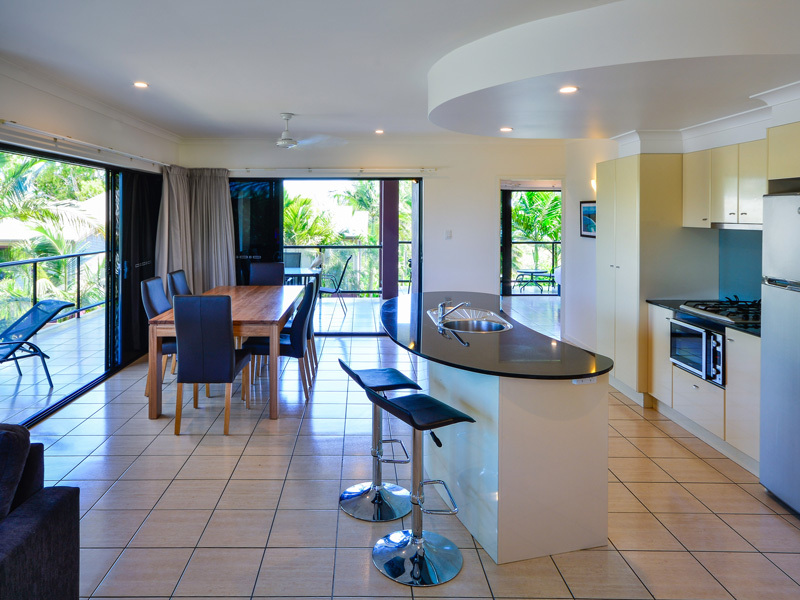 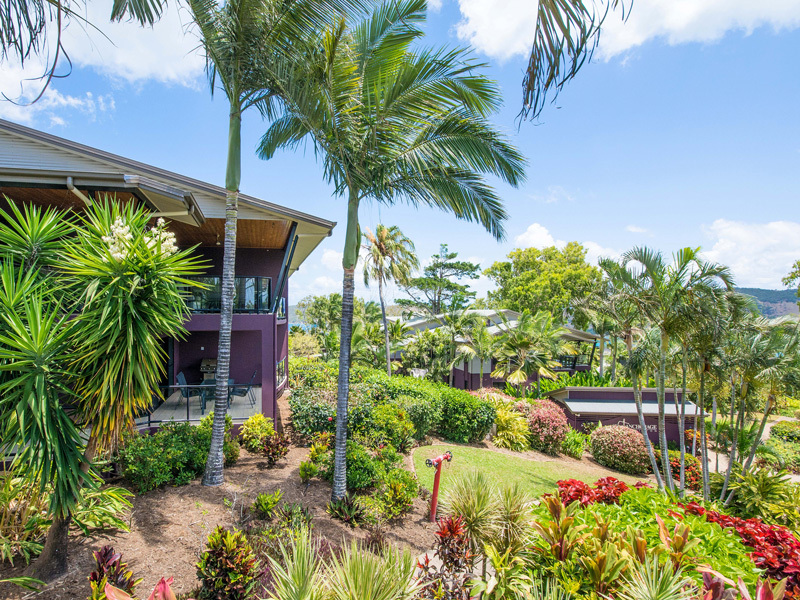 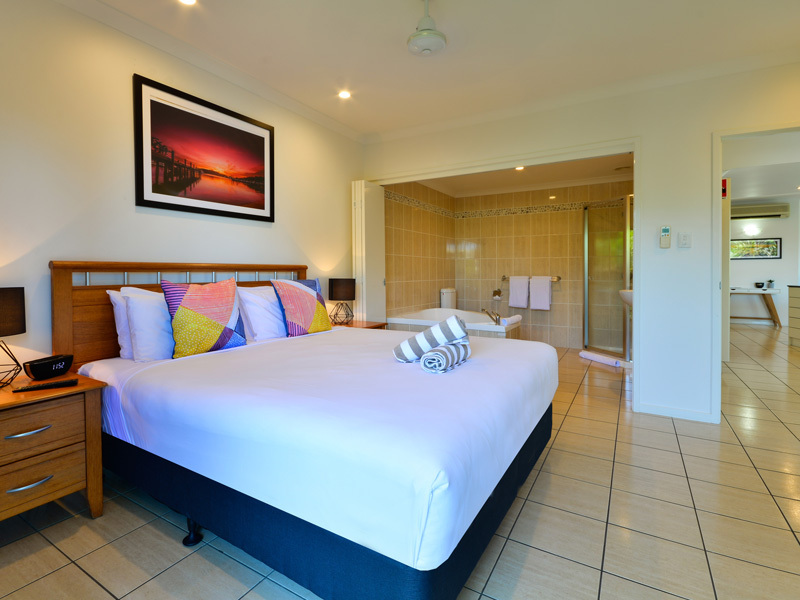 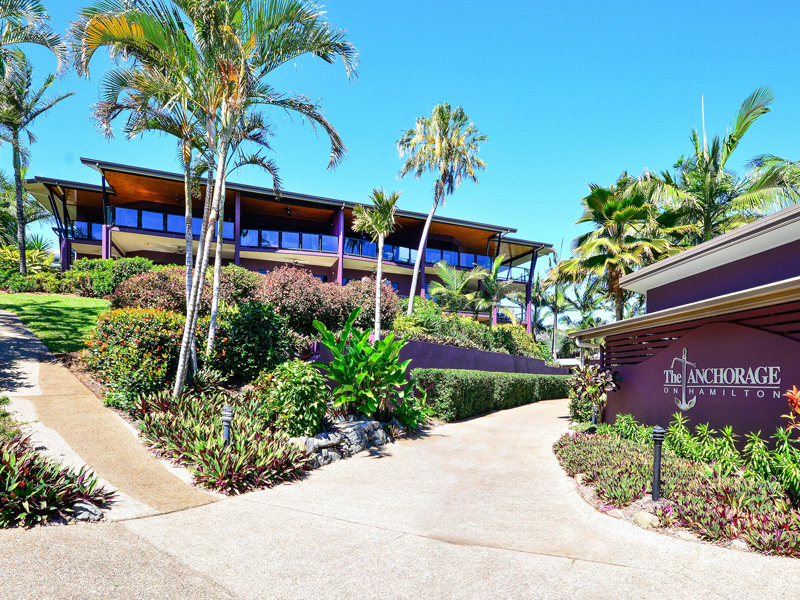 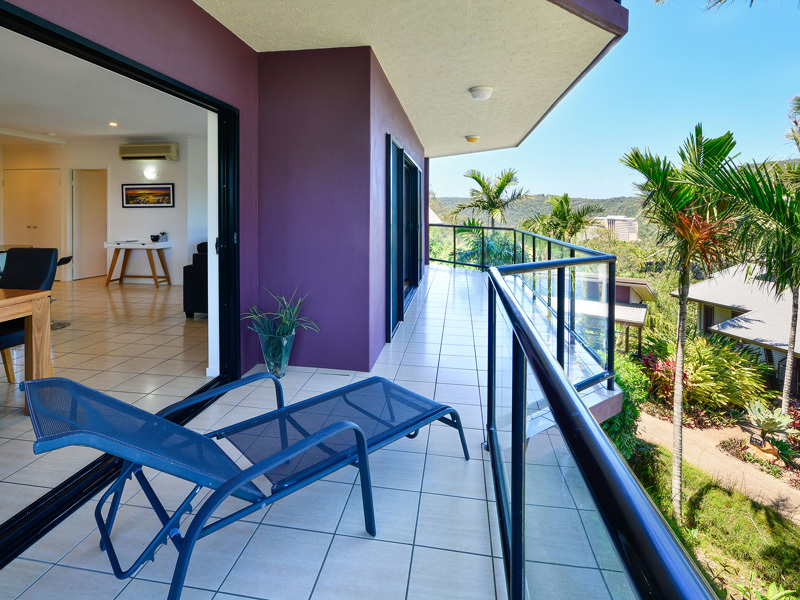 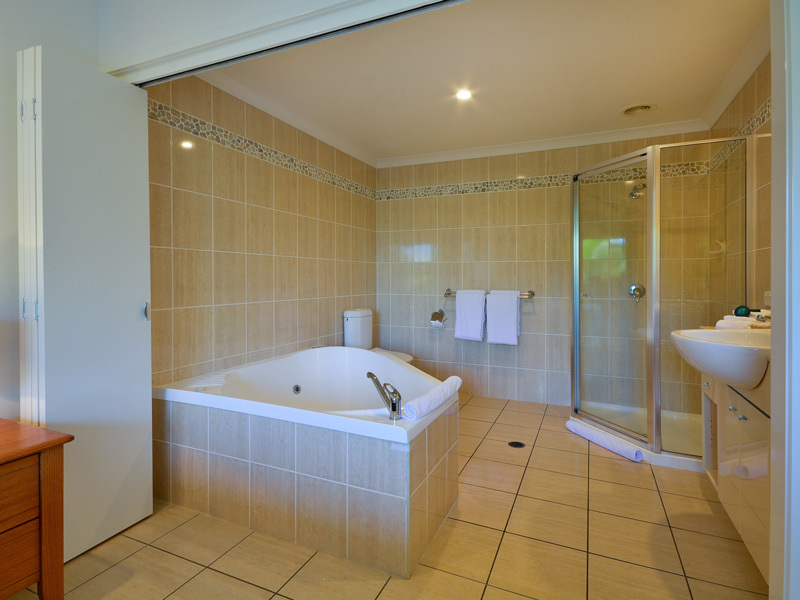 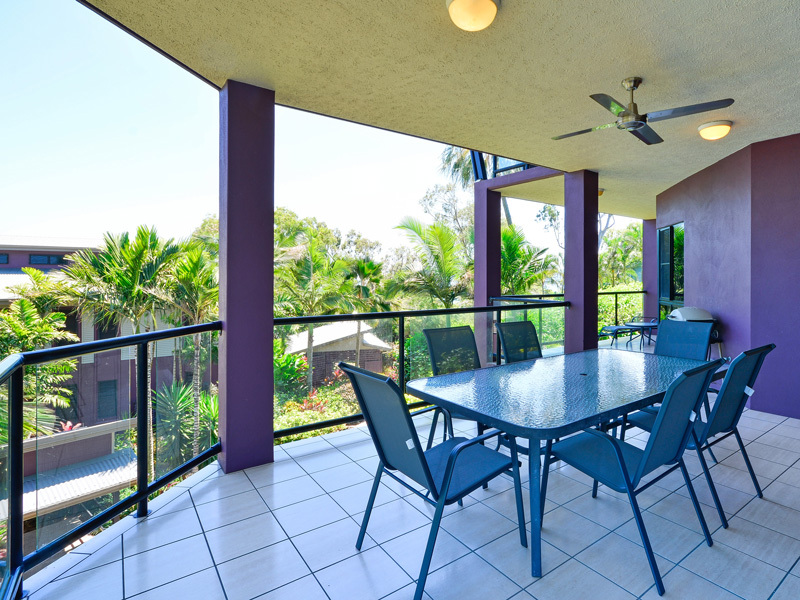 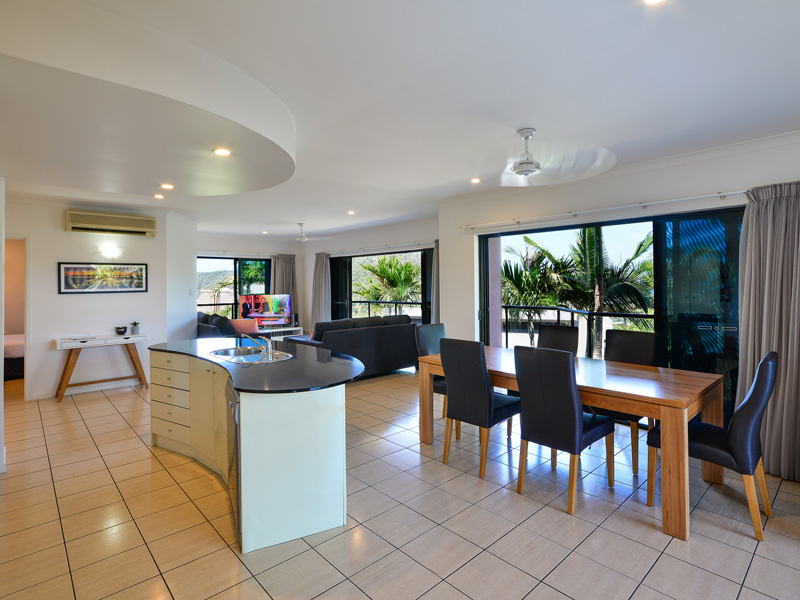 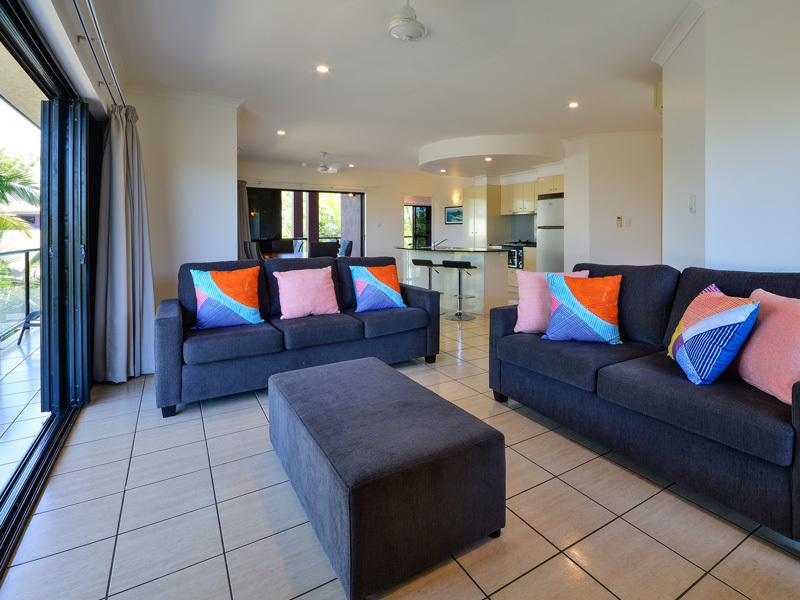 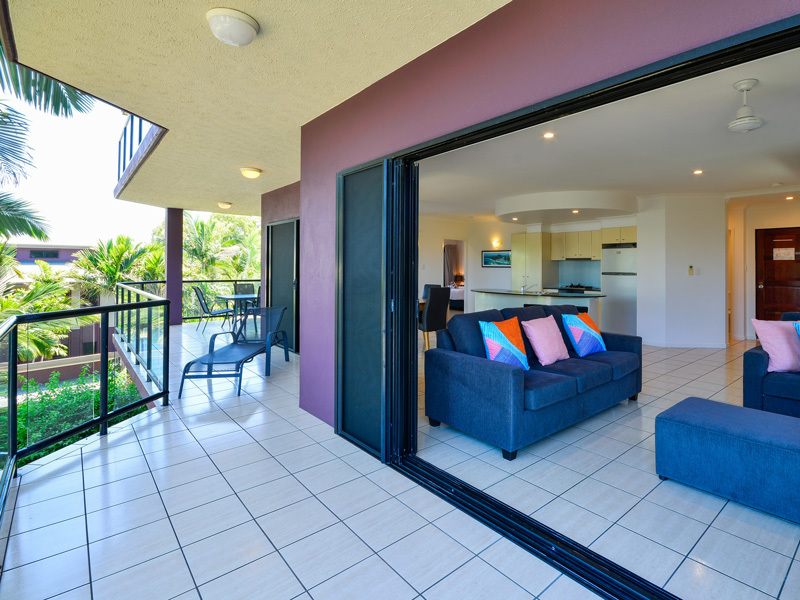 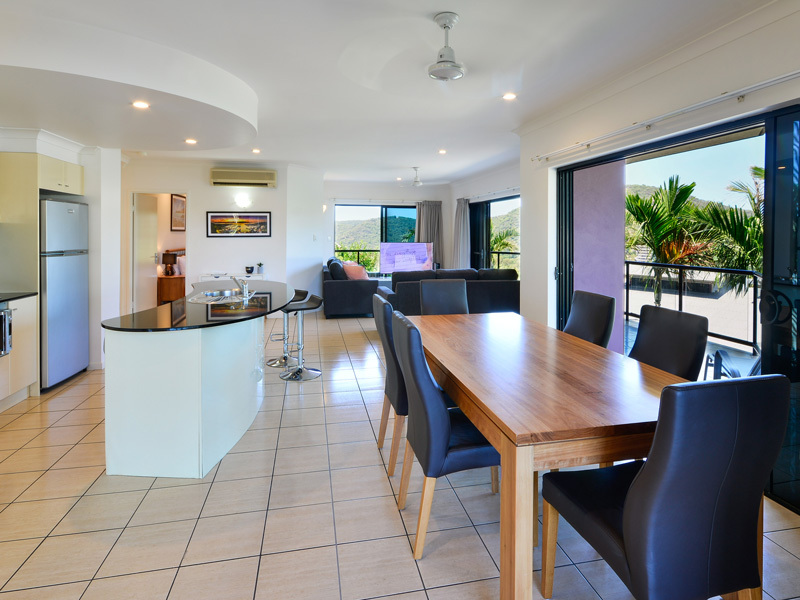 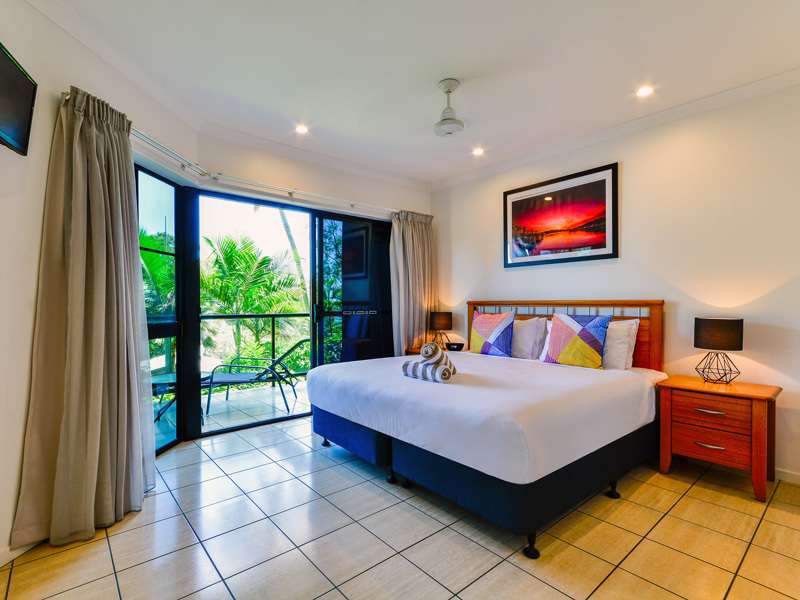 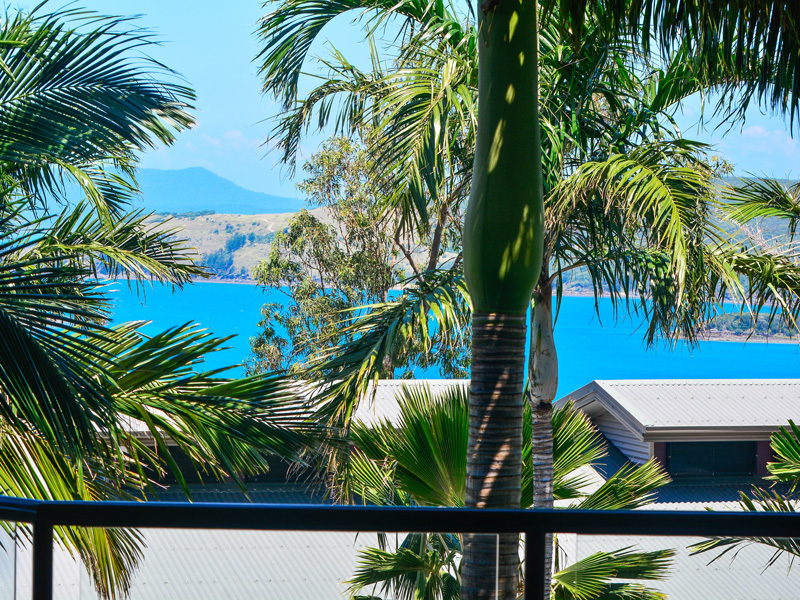 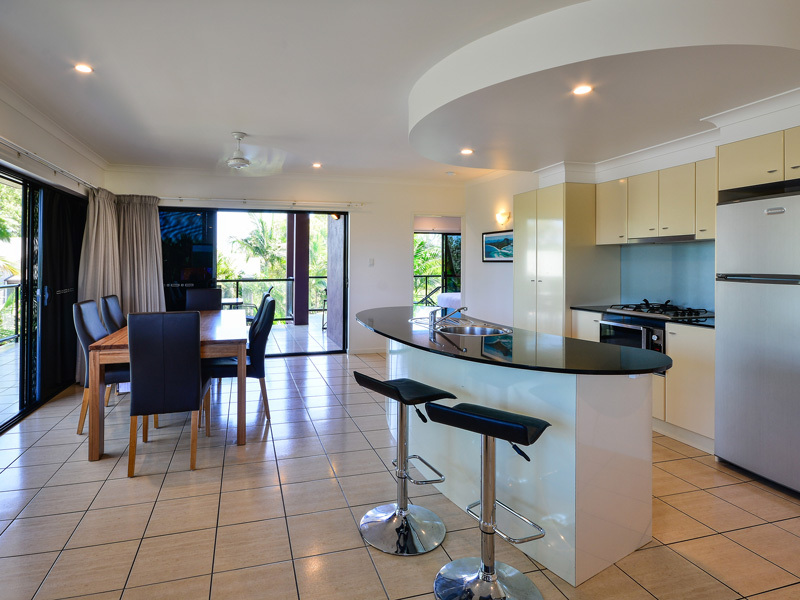 Relax on your private balcony and enjoy views across the landscaped gardens to the Whitsunday Islands. 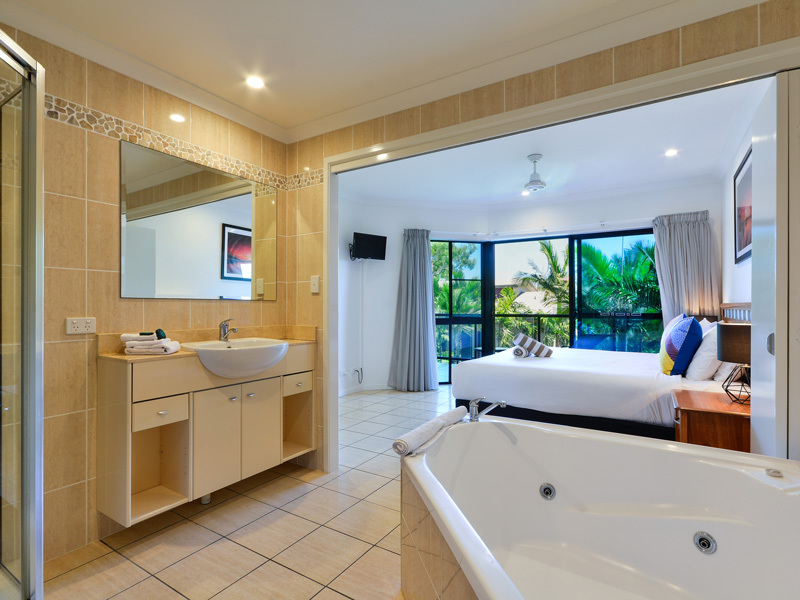 The main bedroom has mirrored robes, separate air-conditioning and a huge ensuite with a corner spa bath and flat screen TV. 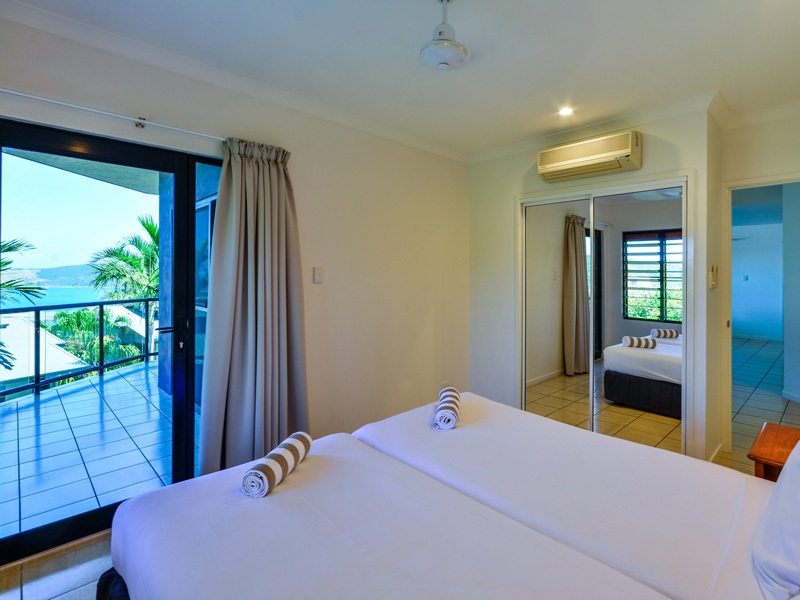 The second bedroom also features air-conditioning, mirrored robes and its own terrace. 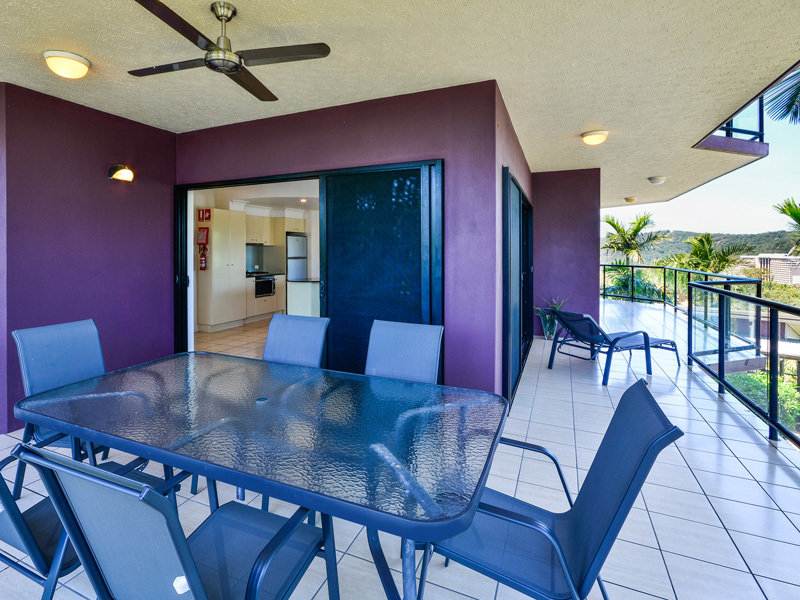 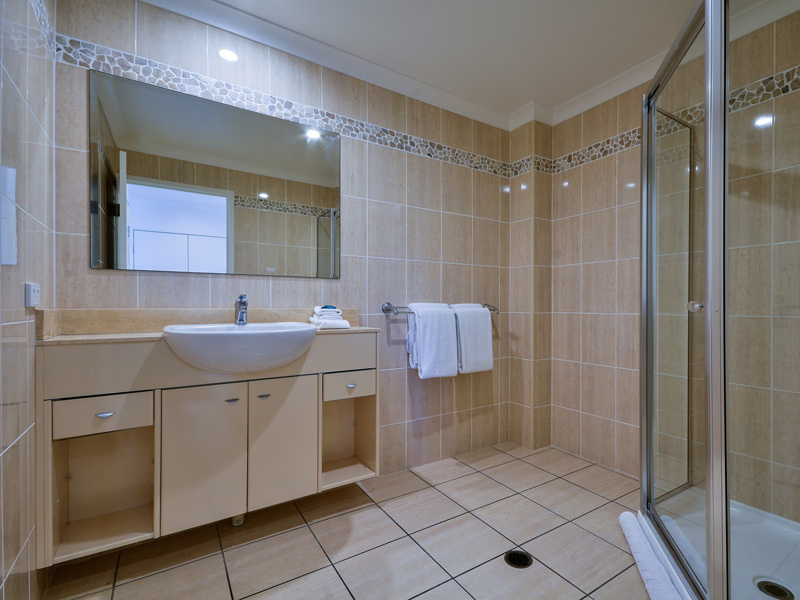 The apartment is set over one level, making it perfect for young children.